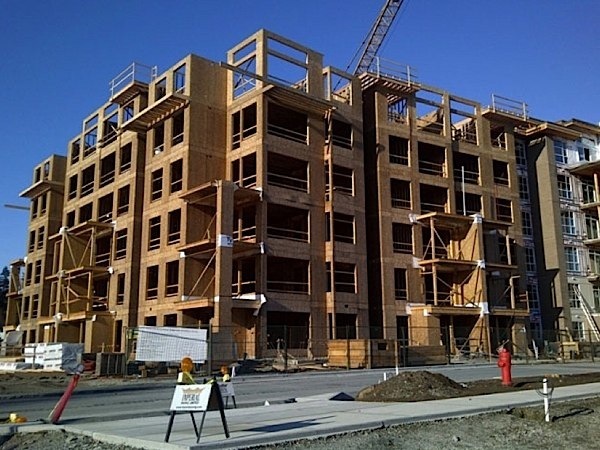 Is wood the future for large buildings? Buildings made from prefabricated wooden components could be the future for large constructions. That was the message to industry professionals at a conference to promote the use of wood products in the building sector. Lynn Embury-Williams of Wood Works BC told delegates that using prefabricated wooden components was an efficient way to build and has the added advantage of supporting the timber sector. The audience heard how wooden construction for larger buildings has been increasing in Europe and that the techniques being used can reduce both cost and construction time. Read the full story.